This is what truly matters. The innocent, pure, and unconditional love a child has for the Lord. I took this picture last week. 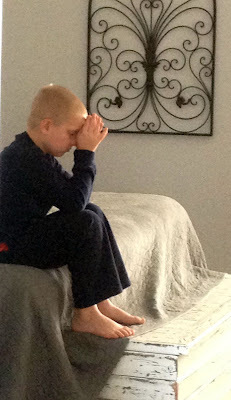 We had just finished our morning Bible time when my youngest son went into my bedroom to pray. He was praying for someone he dearly cares for and loves. I am so thankful I caught this moment. ...this is what truly matters.